Best Laid Plans - Say It, "Rah-shay"
In which I use gifs to talk about work and how plans can change on a dime. There are three more weeks, with about 18 more days of programming for my library’s summer learning program (although who is counting) and I am feeling like the other shoe is about to drop. I should not speak “it” (it being bad things) into existence; compared to all of the other summers that I have been in charge of my Library’s summer reading/learning/program, quite frankly, this is the first summer in which I have felt like it all works. After some static at the beginning of summer (a change in admin at the library that came with some…interesting… conditions) THE DIAGNOSIS (GD kidney disease) and the knowledge that sometimes quality over quantity means less is indeed more, this summer was not the Hell filled horror of summer’s past. Summer at my ole library has been less hectic, calmer. Each day I do not leave work feeling like I am going to get called into my director’s office for her to say something slick and sarcastic that may or may not be some sort of low-key critique disguised as feedback or the feeling that everything I touches awful and that I am in imminent danger of getting written up for something. This year I made the decision make some time for me, getting home at a decent hour to spend with The Bee and The Librarian, spending time with the rest of the family with family meals and get togethers and doing things that feed my soul outside of work. Yet the sneaking suspicion that something – anything – is going to go wrong has been lurking a bit in the background. It’s like I do not know HOW to be happy and let good things into my life. Then I speak it into existence and boom goes the dynamite…the best laid plans take a turn left and to the south and I am stress eating (or these days regular eating!) like no ones business. Last week proved to be “a best laid plans” week. In the past week I got sick. This kidney disease is tricky. I’ll be feeling well and start to do too much. Then I cannot sleep, I can’t get *it” together, and I’m thrown for a loop. Work suffers; I do not think sitting like a zombie at my desk is productive so a day or two off is necessary to try to recoup. Because me, I feel super guilty. Certainly I should push myself ’cause what is going to happen when I get really sick (the doc did mention that there may be some dialysis in the future…eepers!) but I’ve decided that *this* Black woman is not martyring herself anymore because nope. A glimpse at future Rachee. Like, if I became an old man. There was the storytime attended by the grumpy children whose favorite word was “NO!” Like…what’s good toddlers? It’s hot, for sure, but Miss Rachee tells awesome tales and I do make them come to life! 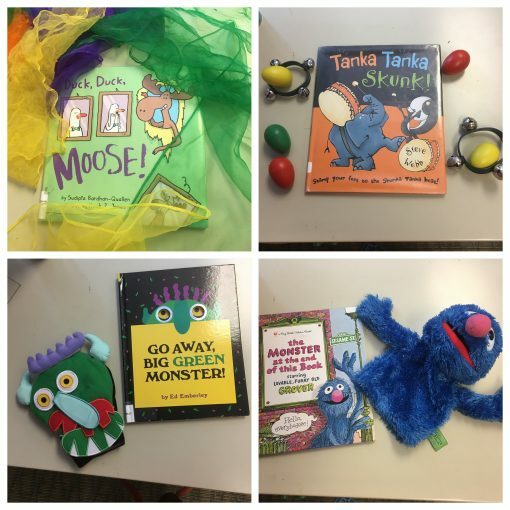 Dig it…we read these four books and each book had puppets or manipulative to give the books sparkle. SPARKLE dangit! Alas, bad attitudes and grump caused the day to end early. I was not upset with any of it. There was the teen who decided that she needed to step to me. Yes. Me. I keep telling these kids that while they may see corny Miss Rachee with her glasses and cardigan, but under the surface is a Rachee that ain’t playing. This particular teen was briefly introduced to old Rachee and is not allowed to return to the library until her mama or legs guardian comes to speak with me. That should be a delight. This event set of a chain of action that caused another teen to stop coming to book club, a second teen to avoid me and, the biggest insult, I had to write-up an incident report. There is one more event that happened that I will share more later once I wrap my head around the chain of events. It involves a few staffers who were given some additional responsibility but felt unprepared for the new roles. Even after meeting and having a chat with some people I feel like have more experience than I do that I still cannot put my thoughts into a coherent sentence so y’all gotta wait for this post. This weekend was a good reset. Time with family, good music and a pile of yarn made me realize that the small stuff is indeed small and that when the first plan does not work out, there are ways to work around the mistakes. So tell me…how do YOU bounce back when the plans you’ve created go south? I don’t have an office with a door, my desk is in the center of children’s. So kids are touching stuff on my desk and every phone call I make is public. So I make lists of calls to make when the room empties. Sigh..
Didn’t know about the kidneys. Ugh. Major ugh. My programs end Thursday. Each night this week I have science camp. Can’t. Be. Soon. Enough. Thankfully, my Director is cool with us doing very little in August. Our schools begin again August 21st, the day of the big eclipse. My assistant is doing two small programs. But nothing big at all. No storytimes. August Is My Summer. And to make it even a little more fun, I’ll start storytimes again the Wednesday after Labor Day…aaand the next week I go on vacation 🙂 as boyfriend can’t take vacation until September. Okay by me. This is the first summer in the last 14 that my boss has allowed my assistant to be with me all day on my big program days. Typically I work tgeday time, she worked the night shift. I always got a helper during day shift, but she never asked me who I wanted. This year I fought for my assistant. Thank goodness I did, it made this summer seem a little less horrifying everyday to know that someone who completely understood my train of thought was sitting behind my desk.